ENSENADA — Sharks, chocolate and even the cantina that invented the first margarita, the alcoholic beverage that epitomizes relaxation – all of these things meet in beautiful Ensenada, Mexico. Just about anyone can find something to do in this destination, which hails quite a bit of cruise ship tourism. 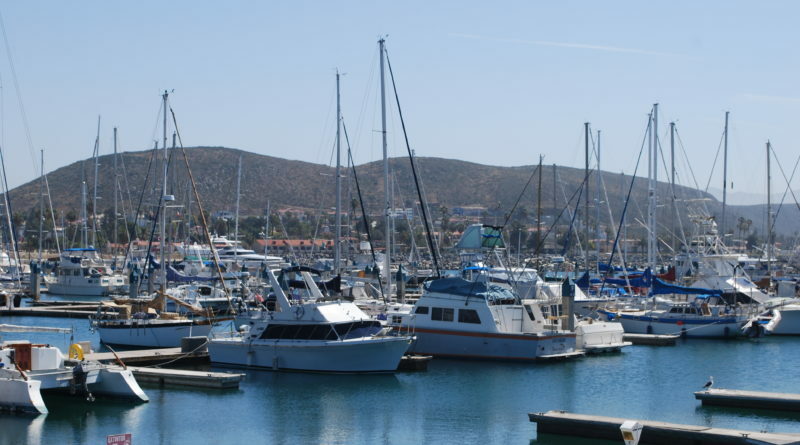 Boaters, however, will find Ensenada is a great location to moor and offers much in the way of on-water activities and otherwise. Not to mention, Ensenada is not far from the border, so it is typically a great short excursion from San Diego. In the United States, there is Old Faithful, but in Ensenada you can view La Bufadora, the second-largest marine geyser in the world. The legend associated with La Bufadora says a large gray whale was separated from its pod and got wedged between the rocks. As the struggling whale cried for help, it launched jets of water into the air to find its friends. Eventually, it is said, the whale became one with the rocks permanently fixing La Bufadora into Ensenada’s cliffs forever. For those who love to take a risk or would like to go on the ultimate diving adventure, Guadalupe Island’s shark cage diving experience is not to be missed. Divers can come face-to-face with great white sharks through Nautilus Liveaboard’s trips to Guadalupe Island, a small volcanic island about 150 miles west of Baja California. The beautiful, clear waters offer a premium view of these gargantuan sea monsters. El Malecón de Ensenada, or the Ensenada Pier, has a boardwalk with a variety of vendor foods (such as the traditional and delicious fresh coconut, frescas or roasted corn on the cob), retails shops and marinas. Close to the water, visitors can walk the boardwalk and explore. If staying for longer or living aboard, Ensenada’s Fish Market, or Mercado de Mariscos, is known for having the freshest fish in town and is located bear the Flag Plaza on El Malecón. An open-air market, fishermen offer everything from shrimp to yellowtail to octopus – and the price is quite low, too. Sometimes tourists even get a sea lion show as locals feed them fish. Visit the Museo de Historia de Ensenada to learn the history of Baja California and more about the people who called the city home. This museum is very close to where the cruise ships dock, so it tends to attract many tourists. Another landmark for tourists is the famed Avenue Ruiz. Though some might say this area is predominantly overrun with folks from out of town and souvenirs, it does have a variety of restaurants by day and clubs by night. For lovers of the popular tequila-fueled beverage, the margarita, Hussong’s Cantina is the place to be. Hussong’s Cantina has been given credit for the invention of the margarita and has been open since 1892. Hollywood legends such as John Wayne, Steve McQueen and Marilyn Monroe have all partaken of an alcoholic beverage here. Hussong’s Cantina also has good prices with buy one, get one free specials four days a week. Tequila may be king in Mexico, but Ensenada is also home to many wineries as well. Bodegas de Santo Tomas, Baja California’s oldest winery that was founded in 1888, has long thrilled wine tasters. Ensenada is home to many wineries and has a rich history that might be a bit unexpected to some. No matter what age, there are activities a plenty in Ensenada. It also serves as a great introductory trip into explore Baja California.